Should you consider serious electricity storage at the household level, behind the meter? In 2011 can bulk electricity storage at home be done? Should it be done? Why not just build more microgeneration or keep using the grid? What energy do we already store at home? Those of us with laptops and torches are storing energy for a few hours' use. And early adopters' electric vehicles contain substantial storage too. Almost all of us have a fridge or a freezer that stores 'cool' for at least a few hours. If you turn the power off the food does not immediately warm up and spoil. Those of us with hot-water tanks or night-storage heaters store heat that way for maybe a day, quite cheaply. Households with off-grid central/space heating such as wood or a fossil fuel such as oil or LPG typically have substantial storage for many weeks. Even a year or two with firewood stacked and drying... 'Seasonal' thermal stores of heat can last the winter. But storing substantial electricity in a form that (say) a washing machine or dishwasher or fridge-freezer could use is still hugely expensive. For example, a typical UK household uses about 10kWh (10 'units') per day of grid electricity; storing that in Lithium batteries similar to a laptop might cost £10,000 ignoring the electronics to get it in and out. Daily load-shaping and cost minimisation. There are various reasons to store energy. One is helping the grid manage intermittent renewable sources such as wind. Another is being off-grid thus needing to hold energy from local sources, usually to cover a few days' poor generation, but maybe also to carry energy from summer to winter. I shall investigate some of these below. But note right up front that electricity is the most expensive form in which to store energy by far, compared to heat or fuel (eg: wood, oil). To keep this thought experiment concrete I'll consider both our house circa 2010 and a typical UK household (heated with mains gas rather than electricity). For simplicity I assume the system to have low-enough round-trip losses (getting energy in and out of the batteries) to generally ignore, less than 10%. and we are roughly zero-carbon overall. If our use of gas for heating (with a heat-pump) and cooking was switched to electricity, we could drop the gas connection and still just about be neutral or an exporter of electricity. We still need to be connected to the grids for now. In particular, even in summer when our PV generates four or five times the electricity that we consume each day, we must import at night. And even during parts of the day when consumption transiently exceeds generation. Some industrial customers get cheaper electricity in return for being disconnected from the grid with little or no notice when there is a shortage of generation (eg when a generator goes off-line unexpectedly). As of 2010 there's something like £100k/year available for every 1MW of load that can be removed automatically within a fraction of a second, for which good candidates are often air-con and cold-store refrigeration. There are different rewards for changing load more slowly (lower-slew rate) or for simply scheduling in 'off-peak' hours. This is called demand control or demand management or demand response. As more intermittent generation is added to the grid, where we cannot choose when it generates (it's not 'callable') we can either back it up with conventional 'thermal' gas plant or we can add more demand management. And the times when demand and generation don't match are likely to become less predictable than always relying on excess in the wee hours of the morning. The 'smart grid' will likely bring some of this to retail customers. (There are already off-peak tariffs such as Economy 7 in the UK, and considerably more complex arrangements elsewhere such as in France.) Shaping the load dynamically to fit available generation could happen through price signals and/or storage on the grid or at/near customer premises. Storage near the customer already happens in some places where the local grid is weak and has trouble coping with peak demand. Possibly even with peak generation where there's lots of local microgeneration installed. Local storage can reduce the need for the building of new transmission and distribution (ie new or fatter wires in the air and ground). From about March to October we generate more electricity than we consume. So a battery system of capacity no more than about one day's consumption (5kWh) would mean that we would usually never need import at all outside winter. We could export some extra energy when the grid carbon intensity is highest, to maximise our dent in the UK's carbon footprint. For a typical household with no microgeneration, once movable loads such as washing machine and dishwasher were moved to off-peak (or lower-carbon-intensity) times, a battery pack of (say) the remaining 8kWh could move the rest of their demand. For example, for Economy 7 rates at 1/3rd of standard rates, this could save 2/3rds of the bill or maybe £400 at current rates. Shifting the load to the lowest-carbon times could save on average about 30% of generation CO2 emissions minus the losses in the battery system. The daily times of these cost or carbon savings may not stay fixed as more intermittent generation such as wind enters the grid in future. However, times of low-intensity and low cost are likely to remain together (ie well-correlated). So savings might be claimed by the retail customer, or their supplier as aggregator. If we were to be off the electricity grid entirely (but still on the gas grid) we would need to ship excess from summer to winter in a huge battery. Or put up enough extra solar PV to generate enough every day that a smallish battery (5 days to a week or so of very gloomy/snowy weather) would do. 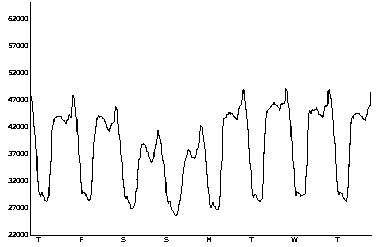 If we were to try to shift the electricity from the summer to cover the ~90 days at 6kWh/day minus an average of say 2--3kWh/d generated on average, then it might be sufficient to carry forward ~300kWh of energy about 3--6 months and we would have plenty of excess already so could tolerate 50% or more self-discharge over that time if necessary. In Lithium-chemistry batteries that might cost £300k. In lead-acid (~3%/month self discharge) that might cost a mere £100k. Vanadium redox flow batteries and molten-salt batteries such as the Zebra and GE's Durathon are also interesting here. For them, when in the inactive form (eg flow reagents removed, or cold/solid) there is essentially no self-discharge and the amount of battery brought on-line at once need only cover average daily power draw and consumption. Thus these can be activated incrementally as required. If we were also to shift our heating and cooking from gas to heat-pump and assume for simplicity that (say) ~2kWh/d cooking stays as is and the rest is converted from electricity to heat with a CoP of ~2.5, then total heat demand would be about 2800kWh (cf 5800kWh gas currently). Of that, about 900kWh (cf 1500kWh gas, 500kWh cooking, 1000kWh DHW) would be used in the 8 months outside winter, so we'd be then above break-even on electricity generation. The remaining 1900kWh would need to be carried over. The cool £2m price-tag is clearly ridiculous, and points to the fact that it would be better to store the heat as heat in some sort of thermal store. Suppose to further stretch this idea and we wanted to put up enough solar PV to generate enough to cover heat demand (peaking at ~40kWh/d, thus maybe 16kWh electricity) mid-winter... We'd need to put up maybe as much 'extra' solar as 20kWp (£80k) with truely vast excess in summer (and we don't have 160m^2 south-facing!). The extra battery to support 7 days at over 20kWp is another £140k in Lithium chemistry, or maybe £50k in lead-acid. Note however that we'd still be nominally generating more than we use in a year. Though system losses could be expected to make that moot. It's already difficult to capture enough heat as heat with solar thermal to contribute much to space heating mid-winter in northern climes. For these sums it would be better to (re)build a house to PassivHaus standards and not require any formal heating system at all. Then skip the bill for storing such enormous amounts of energy through the seasons. If it's hard to see how to do it for one house, it's not going to be easy doing it at a national level, when people won't even wear a sweater and turn the heating down! Note that a typical UK home uses twice the electricity and three times the gas/heat that we do, so inflate all the numbers appropriately. Or at least think long and hard about retrofitting the best energy efficency possible into the existing housing stock. By 2018 a lot has changed for the better in terms of packaged domestic systems: 2018 update. 2018/06/26: How your smart home could generate, store and sell energy. 2011/02/28: Will Distributed Solar Drive Utilities into Bankruptcy? 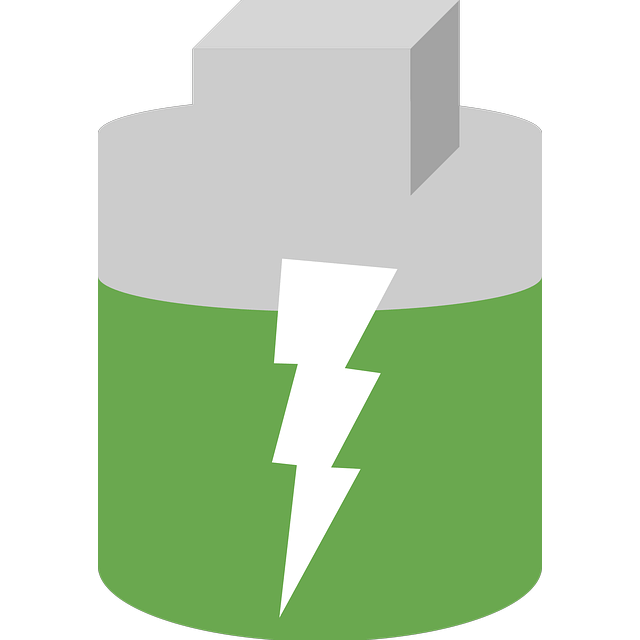 : bulk energy storage and numbers. GE Durathon "NaMx" NaClFeNi battery tech. A type of "molten salt" battery. Prudent Energy Vanadium Redox flow battery tech. Sealed lead-acid (SLA) self-discharge of 1--3% per month dependent on type. Toronto Hydro's peaksaver scheme to peak-shave a/c and heating load for a one-off CAD50 incentive. (UK) Find Local Sunpower Certified Installers. (Australia) Solar Battery Storage Comparison Table. (UK) Which solar battery is the best?. Page Media: image, alternate, alternate(i/src). First published 2010-12-20 , updated 2019-04-18 , rebuilt 2019-04-19 . Site copyright © 2007-2019 Damon Hart-Davis. Hosted by ExNet.